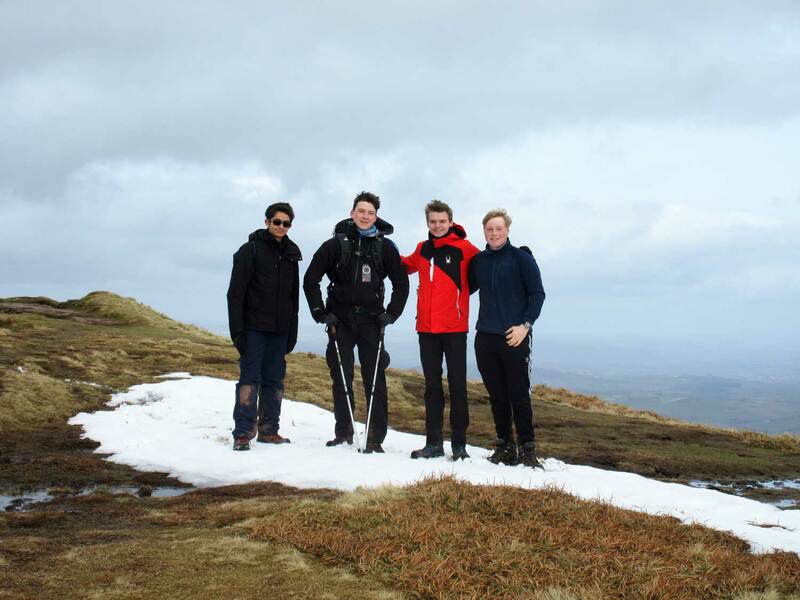 When Reading Blue Coat’s Head of Outdoor Education, Mr Stuart John, asked Year 12 Oliver (photo: second from left) to train to be a Duke of Edinburgh’s Award (DofE) ambassador, Oliver jumped at the chance. ‘When I did my DofE Bronze Award, I’d done some camping, but I was the only one who’d camped before’, says Oliver, ‘and that’s why I like DofE: you have people who’ve never camped or hiked before, together with people who have experience – anyone can do it’. Oliver completed the day’s training on 3 February at Cressex Community School. The training focused on teaching the future ambassadors how to spread the word about DofE to Year 9 pupils. Half the day was spent working on and practising presentations on the importance of doing DofE, and the other half was spent looking at possible scenarios in helping the candidates to achieve their awards, such as helping shy participants with their social skills. Oliver is a self-confessed ‘fan of the outdoors’ and he is currently working on his Gold Award; he will complete the necessary skills in June, and then, in August, take part in his final expedition to the Brecon Beacons, together with six other Reading Blue Coat students.